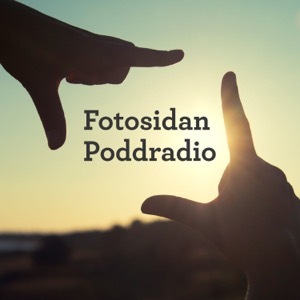 En podcast om foto. I de olika avsnitten får ni lyssna på Sveriges fotografers erfarenheter, tankar och hemligheter! Sketchbook Heroes is the podcast that brings you on a journey into the crazy minds of two geeky artists from Stockholm. your paint around like its nobodys business. Sketchbook heroes will have you covered. Join Frederick Van Johnson, Alex Lindsay, and friends each week as they discuss photography, camera technique, technology and news. With in-depth guest interviews and discussion around everything from taking family photos to understanding how state-of-the-art cameras work — you'll hear it all on This Week in Photo. Hosted by photography instructor/author Scott Wittenburg, this podcast is for anybody who wants to learn the secrets of taking better photographs digitally and traditionally. Tips on camera settings, lenses, lighting, composition, exposure, studio photography, difficult shooting situations, black and white film, darkroom techniques and alternative processes are among the topics to be covered. Subscribers are encouraged to submit questions to the host, who will address them in future podcasts. Get your questions answered and learn to see, no matter if you shoot digital or on film, if you shoot mirrorless or with a DSLR. You use Nikon, Canon, Sony, Olympus, Pentax, Lightroom? Come in! Lean about exposure, composition, colors and the creative side of photography. Konstfolket är Sveriges första podcast om konstmarknaden, aktörerna, pengarna, vinnarna, förlorarna och konstens olidliga lätthet. Medverkar gör Bukowskis säljrådgivare Ebba Bozorgnia samt Paulina Sokolow, Bukowskis kommunikationsansvariga tillsammans med f d galleristen Jonas Kleerup och Barnebys grundare Pontus Silfverstolpe. Producerat av Eric Palmcrantz, Figaro Music & Media Group.